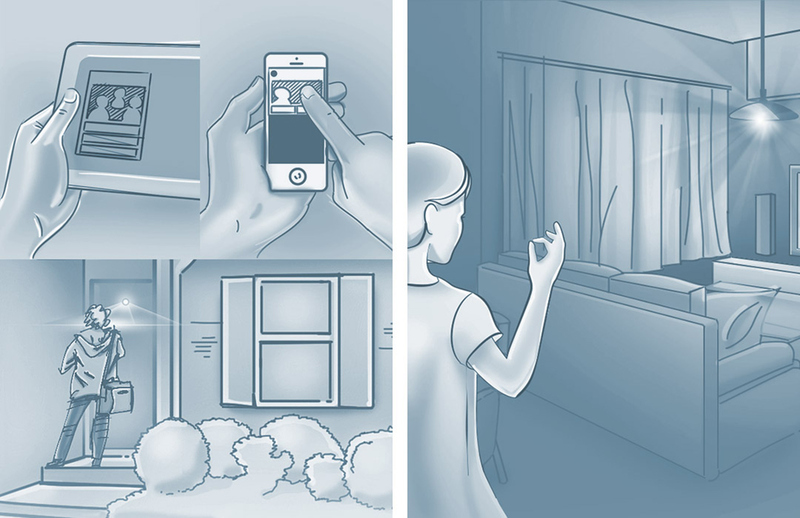 A complete framework to test and conceptualize a connected and smart home for the future. To explore the possibilities that the Internet of Things holds for our lives at home, We built a conceptual connected home with the intention of creating a "living lab" to highlight what is possible today, and also explore the foundational capabilities required to take the home from "connected" to truly "smart." The home is an experimental showcase that will evolve over the next 12 to 18 months as Intel explores the opportunities, experiences, and tensions of creating a smart home. Myself (Research, concept, motion and prototyping). 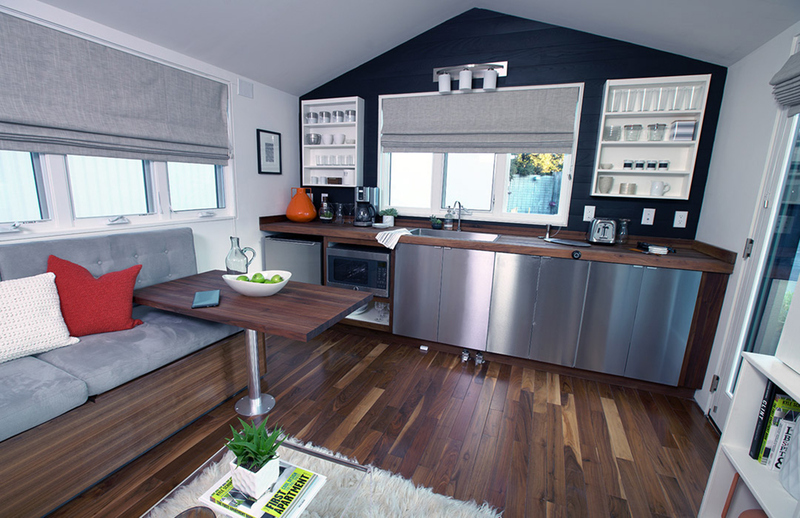 The Tiny Home was showed at the first time in the IoT Day,a worldwide event that aims to discuss, design and develop the emerging Internet of Things. 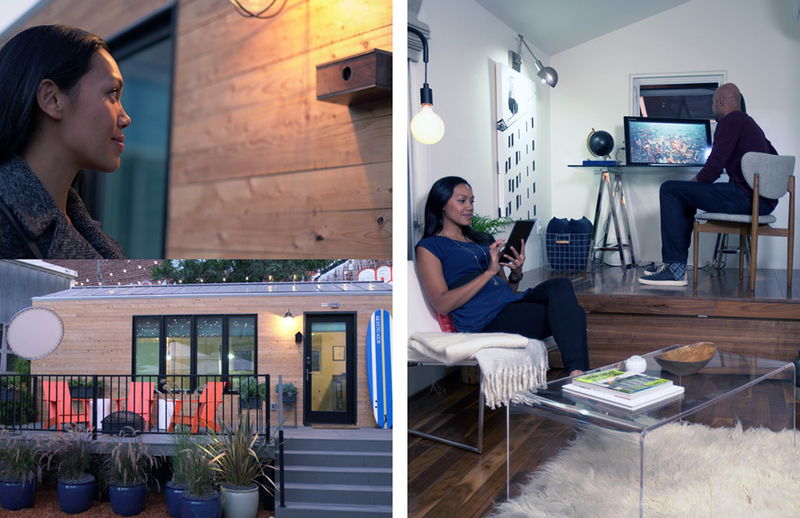 The “tiny house” that we had built on the U.S. east coast, loaded on a flatbed, and trucked to San Fran was jammed full of IoT smarts in just 210 square feet. The initiative is based in a strong connected hardware with a solid service layer behind it all, and the software controlled by a global dashboard. 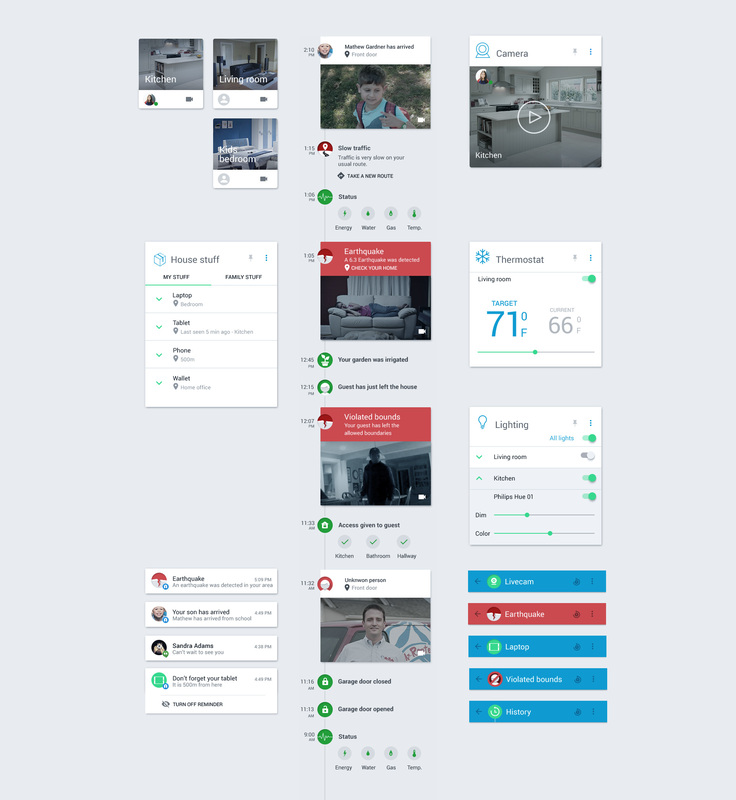 Below is the interaction prototype of the conceptual dashboard, to test the appeal and flow of the interface while being used in a simple task: To pin a specific notification card to the homescreen, and restoring it to the application. To perform several researches to determine the flaws and opportunities of the Smart Home scenario, to bring ideas and conceptualize products that would help make the smart home really connected and meaningful. 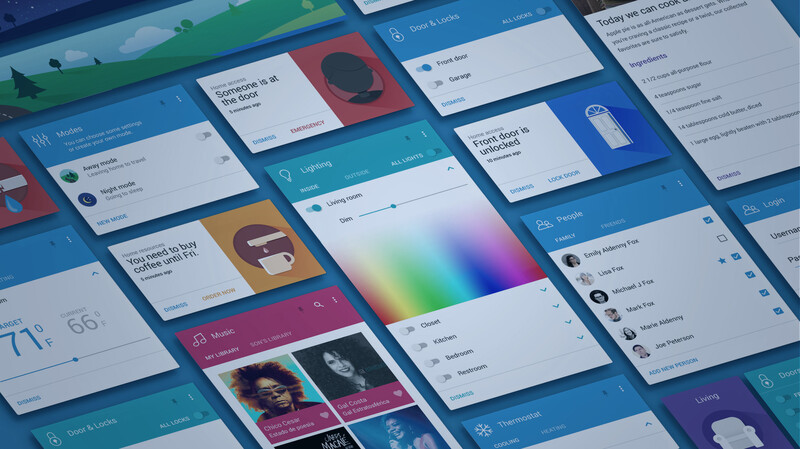 To conceptualize the software and UI Layer to enable the conversation between the different parts of the system, using the Google Material Design as guideline, providing a seamless and integrated experience for the user. Among the several possible scenarios we created a user story where family members would be notifyed about a natural disaster on their region, allowing the user to verify the integrity of his household and checking how other family members are.